Shaheen caught five of six targets for 48 yards and one touchdown over six games this past season. Analysis: Shaheen suffered an ankle and foot sprain in August and it ended up costing him more than half the season. 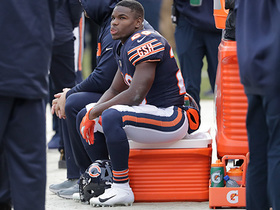 The 25-year-old saw an increased snap count in the Bears' wild-card loss to the Eagles -- Trey Burton (groin) was sidelined -- but had only three receptions for 13 yards. The 2017 second-round pick has yet to produce much offensively but will look to change that in year three as Chicago's No. 2 tight end behind Burton. 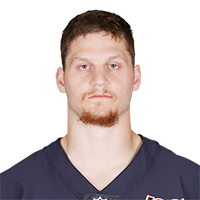 With Trey Burton (groin) inactive, Shaheen is a candidate to see added opportunities in the Bears offense in Sunday's wild-card game against the Eagles, the Chicago Sun-Times reports. Analysis: Shaheen was limited to five catches on six targets for 48 yards and a TD in six games this season, but with Burton (who logged 54 catches and six TDs in 2018) out of the mix, Shaheen should see added looks Sunday. The 6-foot-5, 270-pounder has some red-zone potential thanks to his frame, while Ben Braunecker and Daniel Brown are also on hand to provide the Bears with tight end depth in Burton's absence. Shaheen wasn't targeted in the Bears' victory over the Vikings, and he finished the campaign with five catches for 48 yards and a touchdown. Analysis: Shaheen missed the first couple months of the season after landing on injured reserve with foot and ankle injuries. Upon his return, he did get a number of looks in the red zone, but otherwise wasn't an integral part of the Bears' passing attack. Signed through 2020 and still on an upward career arc, he'll likely be used primarily as a blocker and red-zone weapon while Trey Burton continues to vacuum up the majority of targets in 2019. Shaheen caught one of two targets for four yards during Sunday's 14-9 win over the 49ers. Analysis: Shaheen has now caught passes in back-to-back games, but that hasn't done much to salvage what has been an underwhelming, injury-plagued season for the second-year tight end. 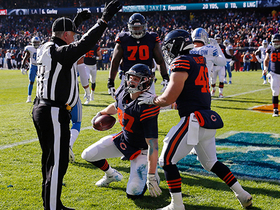 Before the Bears begin their playoff run, they'll have a Week 17 matchup on tap with the Vikings, who held Shaheen without a reception across 19 offensive snaps in Week 11. 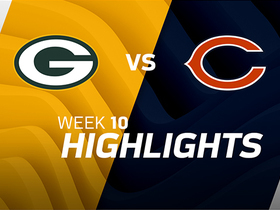 Shaheen caught two passes for 39 yards in the Bears' 24-17 victory over the Packers. 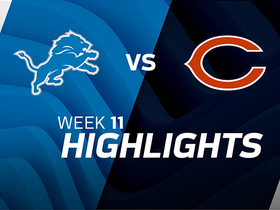 Analysis: With Chicago playing this one conservatively, Shaheen was just one of two Bears to catch a pass longer than 20 yards, and he was also second on the team in receiving yards. With just four targets over his last three games, he'll be a touchdown-dependent fantasy option down the stretch. 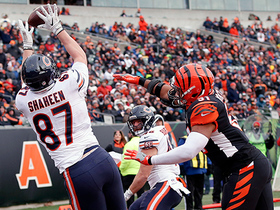 Shaheen caught two passes for five yards and a touchdown in the Bears' Week 13 overtime loss to the Giants. 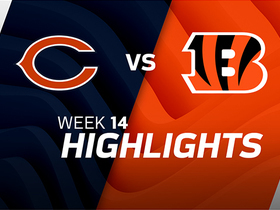 Analysis: Shaheen caught his short touchdown pass from Chase Daniel to put the Bears on the scoreboard in the first quarter, and he saw just one additional target during the remainder of the game. Primarily a blocking tight end, he'll likely continue to be a low-volume player, but his size and athletic ability give him the potential to score a touchdown at any time. Shaheen (concussion) was a full participant in Wednesday's practice, Colleen Kane of the Chicago Tribune reports. Analysis: Shaheen suffered a head injury during Chicago's win over the Vikings in Week 11 and has now cleared the league-mandated concussion protocol. The 2017 second-round pick is on track to suit up against the Giants on Sunday and will serve as the primary backup to Trey Burton. He'll look to earn his first target of the season. Shaheen (concussion) isn't traveling with the team to Detroit for Thursday's game. Analysis: Shaheen's absence Thursday was to be expected since he was unable to practice this week after suffering the concussion in Sunday's win over the Vikings. Ben Braunecker should serve as the Bears' No. 2 tight end Thursday against the Lions. Shaheen (concussion) didn't participate in practice Wednesday. Analysis: Shaheen sustained the concussion in the fourth quarter of Sunday's matchup with the Vikings. It seems unlikely that Shaheen will recover and clear the league's concussion protocol before Chicago's matchup with the Lions on Thursday. As long as Shaheen's sidelined, Ben Braunecker could see an increase in work. Shaheen is under the league's concussion protocol and sat out Tuesday's practice. Analysis: Shaheen suffered a concussion in the fourth quarter of Sunday's matchup with the Vikings. The tight end will need to clear the league's concussion protocol before he's eligible to play, though with the Bears set to face off with the Lions on Thursday, that seems like a long shot. Ben Braunecker will likely see an increased workload if Shaheen is inactive. Shaheen exited Sunday's game against the Vikings to be evaluated for a concussion, Colleen Kane of the Chicago Tribune reports. Analysis: Shaheen's head snapped against the turf while the tight end came down with a reception in the corner of the end zone on a successful two-point conversion. Given how little time remains in the game, Shaheen is likely done for the day. Shaheen (foot/ankle) was activated off injured reserve Saturday, Mike Garafolo of NFL Network reports. Coach Matt Nagy wouldn't commit to Shaheen (foot/ankle) being activated from injured reserve ahead of Sunday's game against the Vikings, Rich Campbell of the Chicago Tribune reports. "I hope so, but I don't know," Nagy said, when asked if the tight end was ready to make his season debut. Coach Matt Nagy labeled Shaheen (foot) as "day-to-day" Thursday, Adam Hoge of WGN Radio 720 AM Chicago reports. "We're just making sure if he does play [Sunday against the Vikings], give us what we need," Nagy said of the tight end. 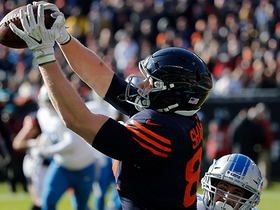 Analysis: The Bears designated Shaheen to return from injured reserve last Wednesday, giving the team until Nov. 28 to decide whether he's fit for a return to the active roster or if he'll be shut down for the rest of the season. Nagy's comments cast some doubt on Shaheen's readiness to contribute in Week 11, but the Bears will presumably wait and see what he's able to do at practices Thursday and Friday before making a call on his status. Shaheen (foot/ankle) practiced Wednesday, officially opening a three-week window in which he can be added to the 53-man roster, Patrick Finley of the Chicago Sun-Times reports. Analysis: Shaheen is nearing the end of the road in his recovery from a sprained right foot and ankle, which he sustained during the second week of the preseason. Now back on the practice field, he'll have 21 days to prove that he's healthy enough to contribute during the second half of the campaign. If he does gets activated, Shaheen will play second fiddle -- at best -- to starting tight end Trey Burton. Coach Matt Nagy said that Shaheen (foot) is "getting very close" and could return to practice this week, Kevin Fishbain of The Athletic reports. Analysis: Shaheen has lingered on injured reserve since the start of the season and has not yet been cleared to practice, despite participating in pregame warmups since Week 7. Whenever the 2017 second-round pick is able to retake the field, he's expected to serve as the team's No. 2 tight end behind Trey Burton. The Bears' first official practice of the week will occur Wednesday, during which time Shaheen appears to have a chance to take part. 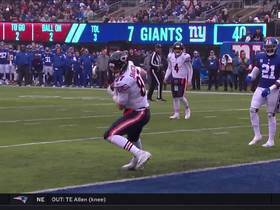 Chicago Bears quarterback Mitchell Trubisky finds tight end Adam Shaheen for a 23-yard gain. 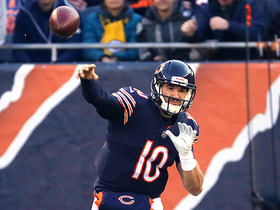 Chicago Bears quarterback Mitch Trubisky lofts perfect two-point converison pass to tight end Adam Shaheen. 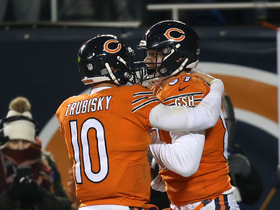 Chicago Bears quarterback Mitchell Trubisky finds tight end Adam Shaheen for 22 yards vs. the Detroit Lions in Week 11 of the 2017 NFL season.